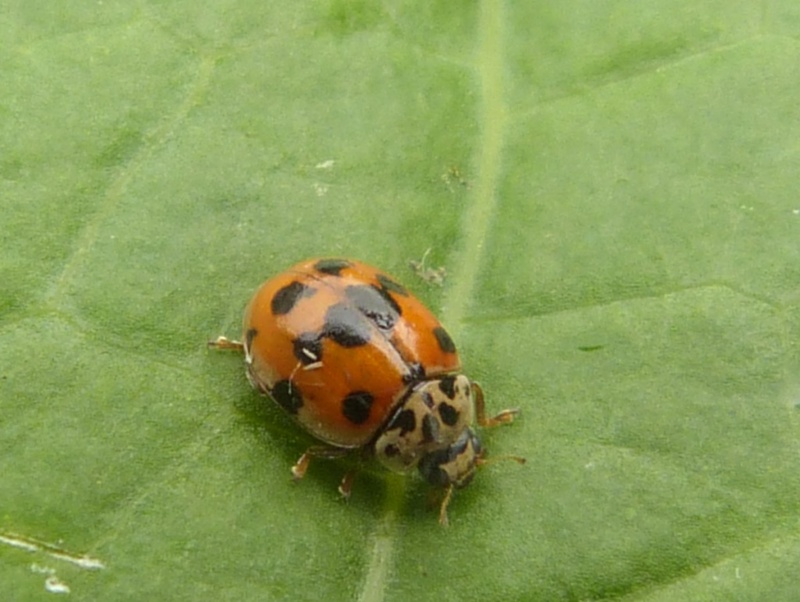 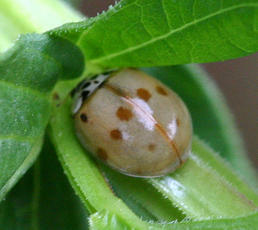 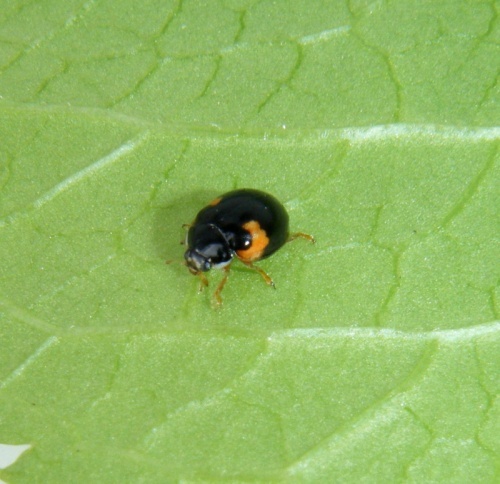 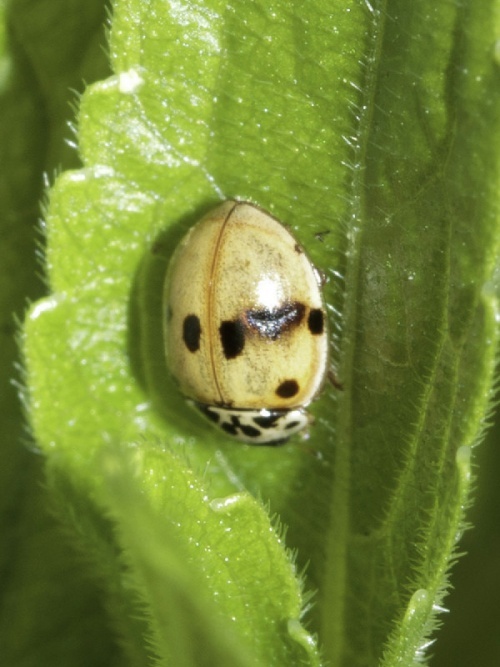 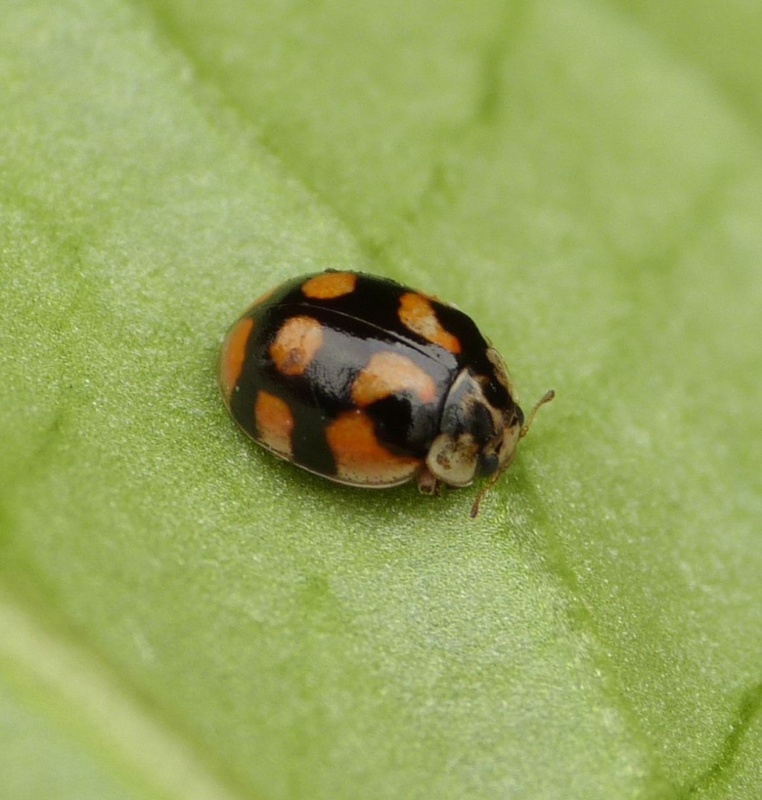 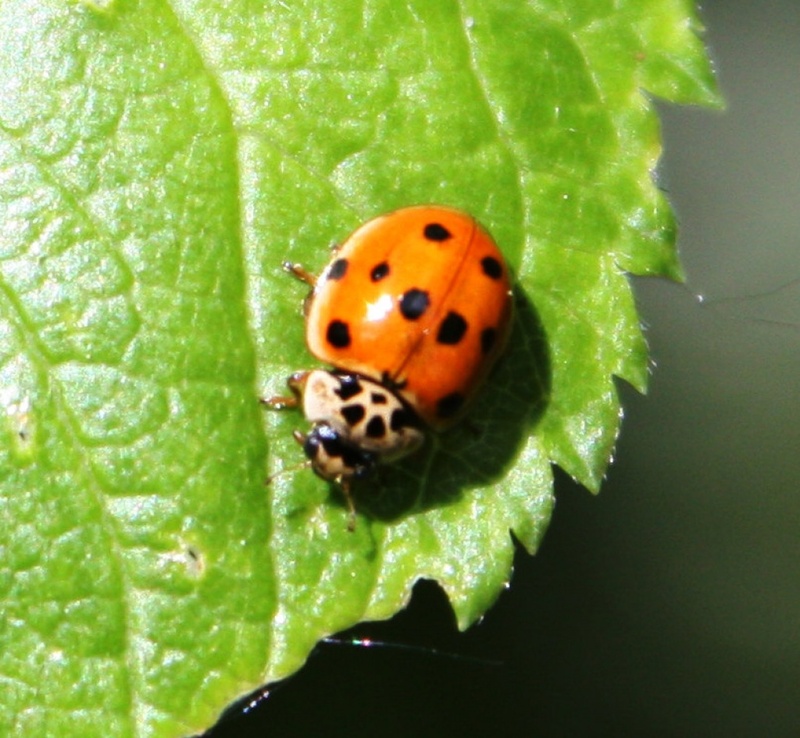 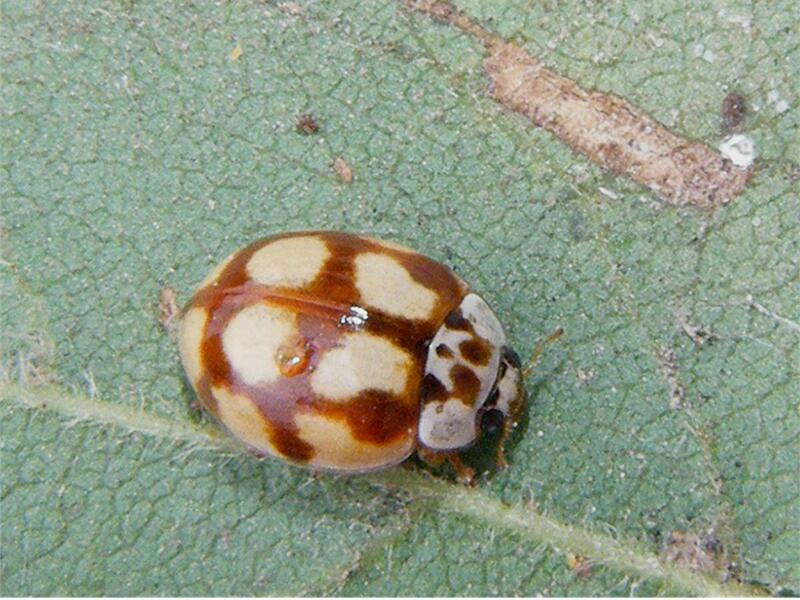 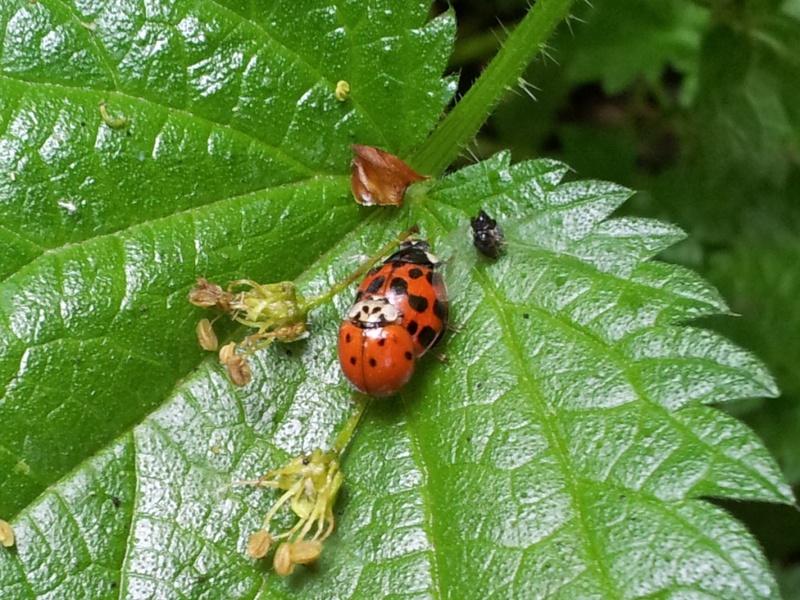 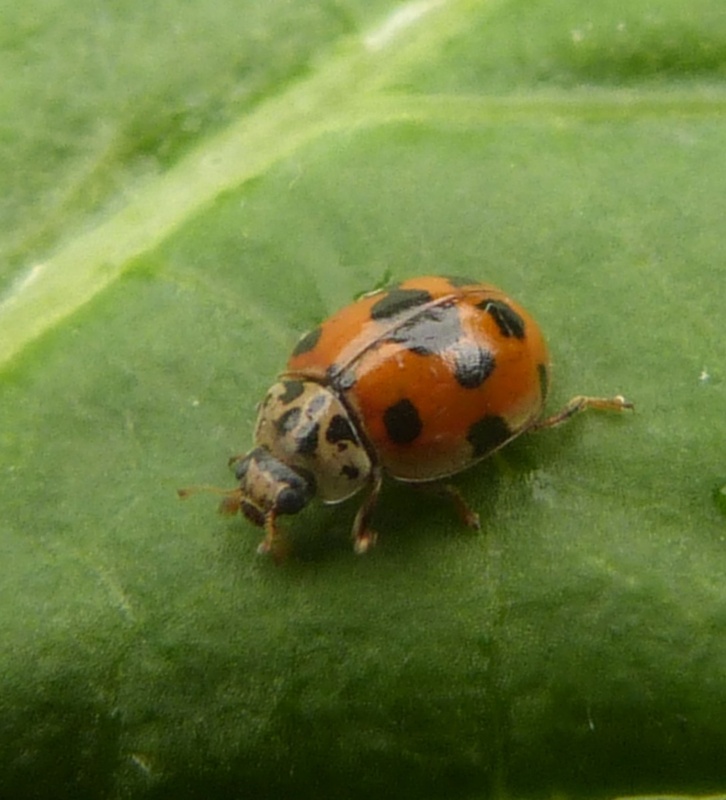 A small and variable ladybird - which confusingly doesn't always have 10 spots. 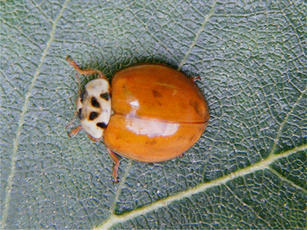 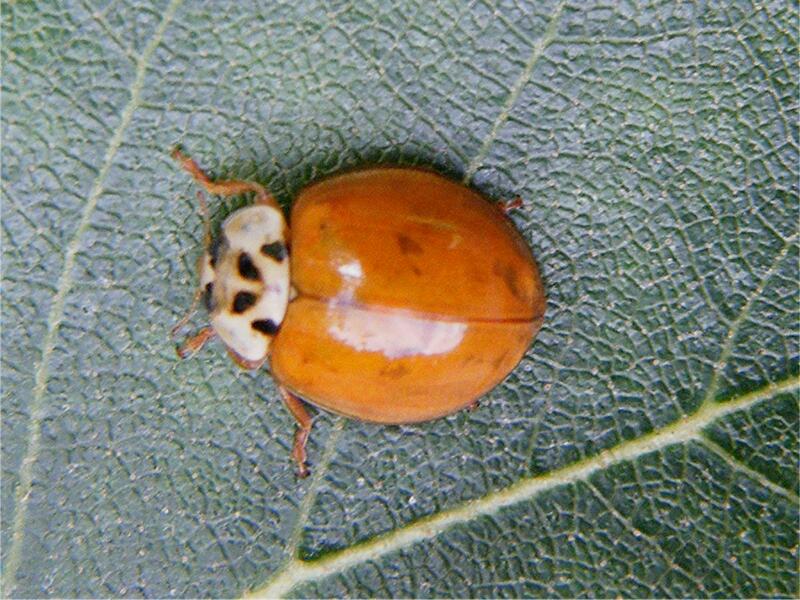 Newly hatched specimens take a while to develop the orange background colour and appear pale brown like the image below. 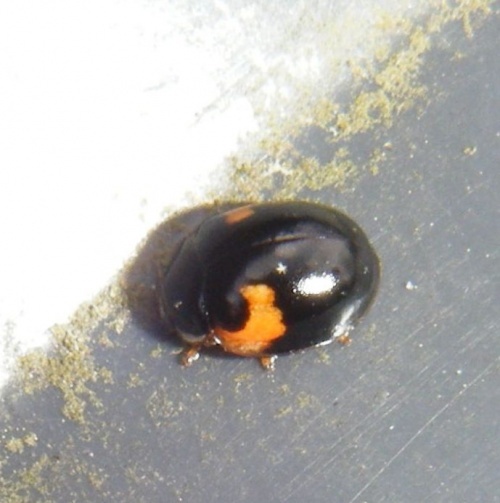 The legs are orange on this species which is a helpful guide to identification. 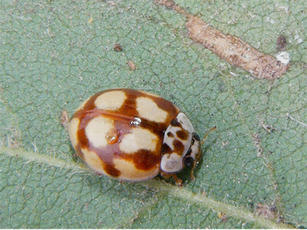 Though variable, the various colour forms are all identifiable. 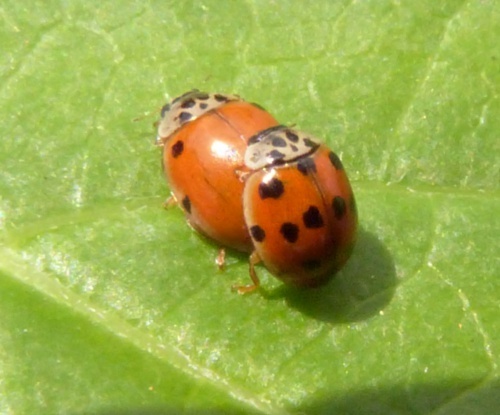 They are active from March to October. 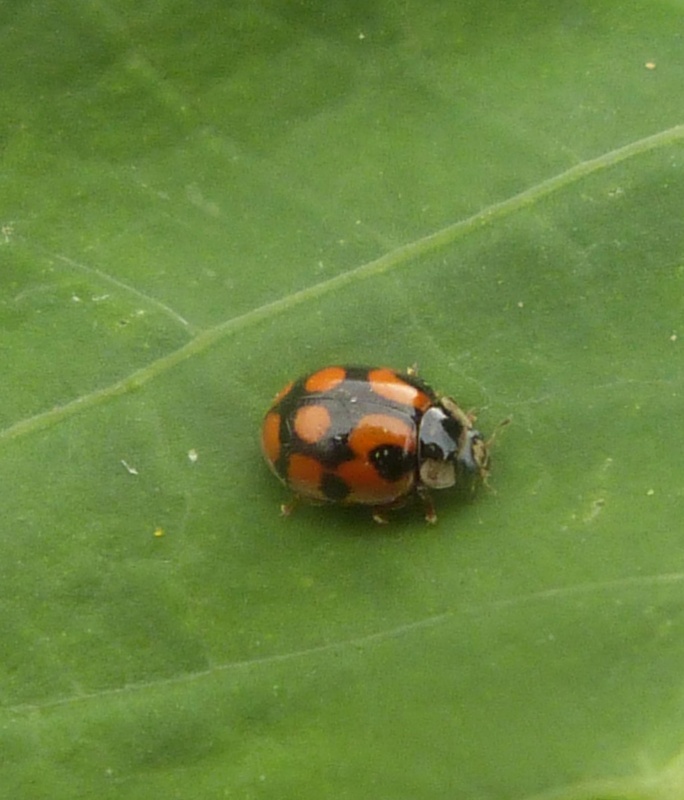 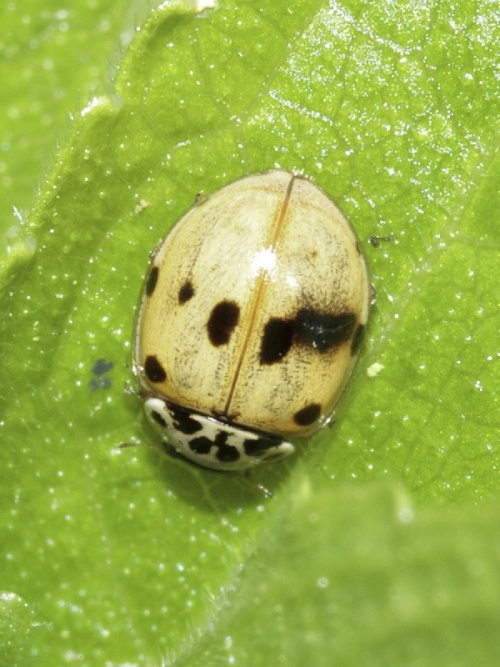 Both adults and larvae feed on aphids and are useful in keeping these down. 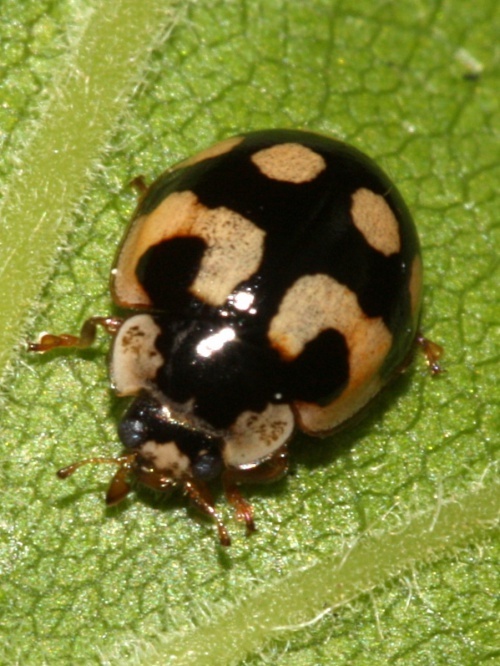 They often hibernate in huge aggregations in sheds or under loose tree bark. 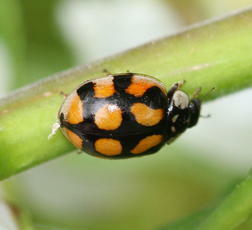 Very common throughout Britain though less so in the far north. Common in Leicestershire and Rutland. 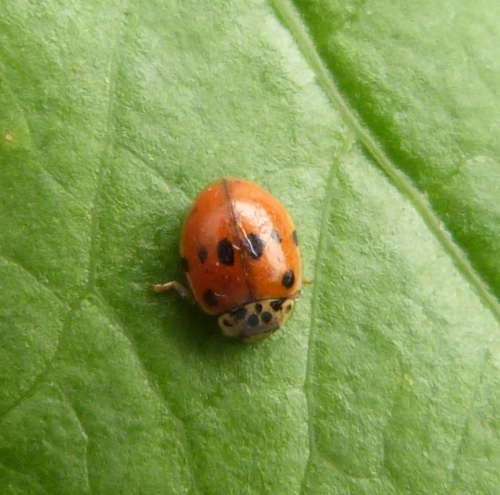 There were approximately 200 VC55 records for this species up to March 2015.